So, these were the solutions to fix Google Pixel 3 and Pixel 3 XL incoming outgoing call drop and mic issue. Without any doubt, these Google flagship handsets are awesome so you don’t have to question on your choice. It is a perfect phone with some minor flaws which can be solved easily. Google’s latest Pixel phones are a great smartphone with mindblowing design and feature. Google has done a great job with its hardware and the performance. The phone offers amazing multi-tasking performance which is great for every gamer. The connectivity is also faster which is amazing compared to previous handsets. However, many users think that buying a high-end phone will not have any issue. If you, think so, then you are absolutely wrong. Every gadget manufactured comes with a flaw or can give trouble after a few months. Network issue is one of the most critical problems experienced in Google Pixel 3 and Pixel 3 XL. You will get a bug when you explore more and go in the depth of the phones. These bugs are unavoidable and sometimes extremely annoying. Google Pixel 3 and Pixel 3 XL dropped calls and not ringing issue is very bothersome. You can come in a situation where calls suddenly drop while talking with an important person or the phone didn’t range and you missed an important call. The previous Google handsets have also reported these type of problem so it is now common with the company’s devices. However, most of the problems are due to a software bug which can be easily solved at home without spending on repair. The users were not expecting the problems in the new flagship. Although, you don’t have to worry. Gadget Features experts have sketched out all possible solutions which can fix the network problems of the phone. These methods can also solve network issues and mic not working during calls. So, let’s know the solution to fix Google Pixel 3 and Pixel 3 XL incoming outgoing call drop and mic issue. Sometimes, while calling someone, the call suddenly disconnects and you cannot call anyone. This is a common problem faced by many smartphone users. In this case, the first thing you have to do is restart the phone. Restarting the device can fix many issues if immediately executed. Although, if the problem continues, then you can look for a new software update as the issue might occur due to a software issue. Here, we have provided two methods to fix call drop issue. Another method is safe mode. Running the phone in safe mode disables all the third-party application and other additional feature. This method can also let you know if any third-party app is affecting the device. If the device works well in the safe mode, then uninstall the app which you have recently downloaded. 2. Click on Advanced Down arrow icon. 3. Tap on System updates. 5. If an update is available, then tap OK.
6. Tap on Download option. 7. Wait for the update to complete, then restart the device. 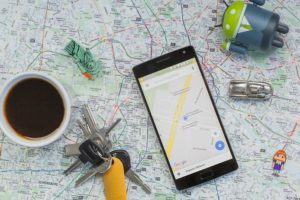 Your Google phone has an incoming call issue when you cannot hear the sound of the caller, not receiving incoming calls or call disconnect while someone calls you. These problems can occur when the phone app has many unessential caches and data. You are advised to clear the data and cache regularly to operate the phone smoothly. Here are the steps to clear the cache of the Google Pixel 3 and Pixel 3 XL. Many users have complained that they are not receiving calls in their phones. This is one of the most annoying problems which makes the connectivity feature useless. The users have also tried restarting the device and checking the signal issues. The below method can help to solve this problem. Reset network settings can fix the signal drop problem efficiently. This problem cannot be solved by a simple restart. This method will not delete the data from the phone so you don’t have to back up your images and pictures. It can also solve the Wi-Fi issues. Follow these steps to Reset network settings. 5. You will see some options, from which you have to select Reset Wi-Fi, mobile & Bluetooth. If you cannot hear the voice so the caller or they cannot hear your voice, the follow this simple method. Recovery mode is helpful to fix most of the smartphone issues, so must try this. 2. Press & hold Power button along with Volume down button for a few seconds. 3. This method will enter the device in bootloader mode. 4. Press Volume down button to highlight Recovery mode on the display. 5. Press the Power button to restart into recovery mode. When your smartphone mic is not working, then firstly, clean the phone speaker to solve microphone problems and other audio problem as well. Disabling noise reduction can solve the mic issue. This method is completely tested and effective in most of the smartphone model. 2. Click on Phone located in the bottom left corner. 3. Select the Menu icon located in the upper right corner. 4. Visit the Settings > Call option. 5. Select Noise reduction to disable. So, these were the solutions to fix Google Pixel 3 and Pixel 3 XL incoming outgoing call drop and mic issue. Without any doubt, these Google flagship handsets are awesome so you don’t have to question on your choice. It is a perfect phone with some minor flaws which can be solved easily. If you have any problem with any other phones, then feel free to contact us. I hope you liked this article and these methods help you to solve your problems. You can also share this with your friends who are facing the same issue.